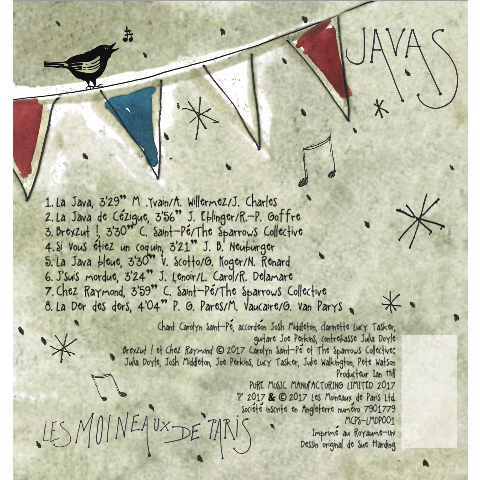 The Sparrows of Paris' first album is called JAVAS and contains some of the most famous example of this dance music of the beginning of the twentieth century such as La java de Cézigue and J'suis mordue originally sung by a young Edith Piaf, La java bleue and La der des der from Fréhel, La java from Mistinguett, Si vous étiez un coquin from Arletty as well as two new songs specifically written for this album Brexzut! and Chez Raymond which speak of the lives of French expats in the UK. 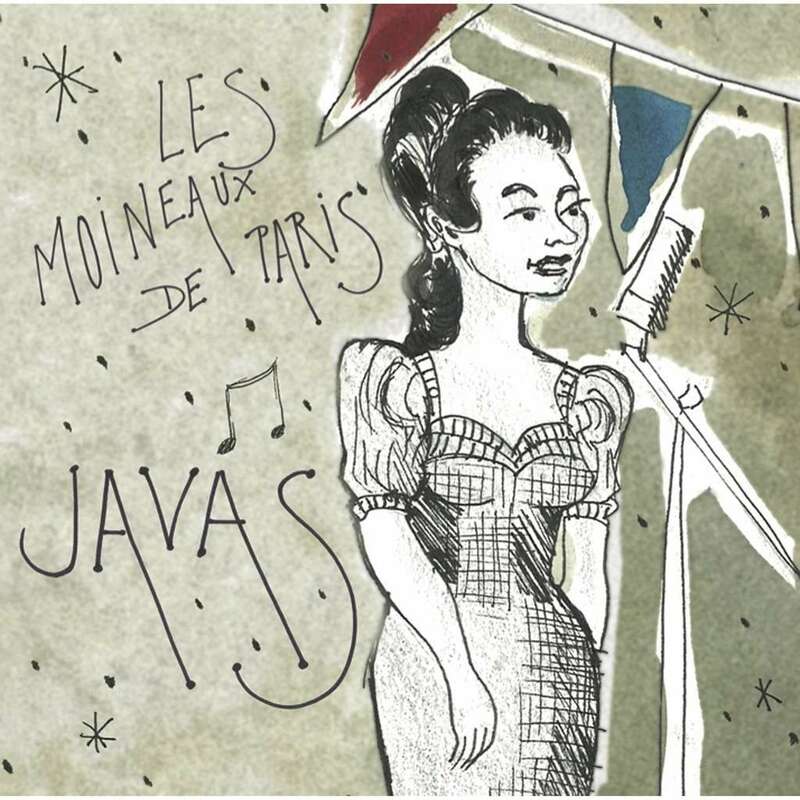 The drawing of singer Carolyn Saint-Pé is from British artist Sue Harding.